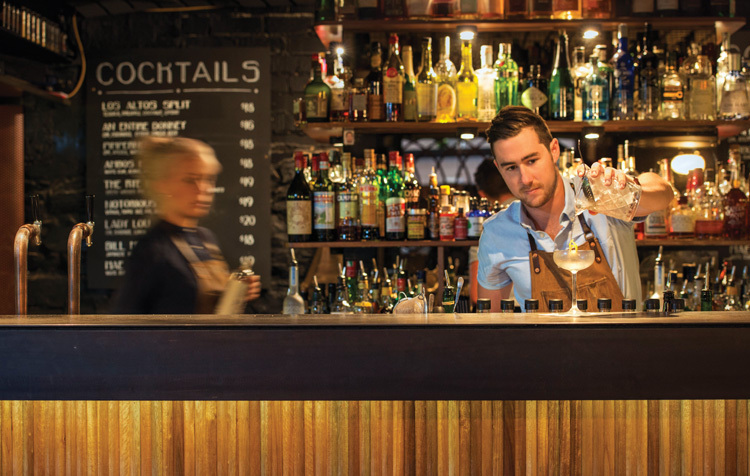 The Best Sustainable Bar Program is a new addition to the Bartender Magazine Australian Bar Awards, which are now in their 17th year. We’ve been profiling bartenders and bars who are working on implementing more sustainable practices behind the stick over at The Sustainable Bar, and the ideas are gaining traction around the world thanks to pioneering bars like White Lyan and efforts like Trash Tiki. So which bars are kicking goals locally? 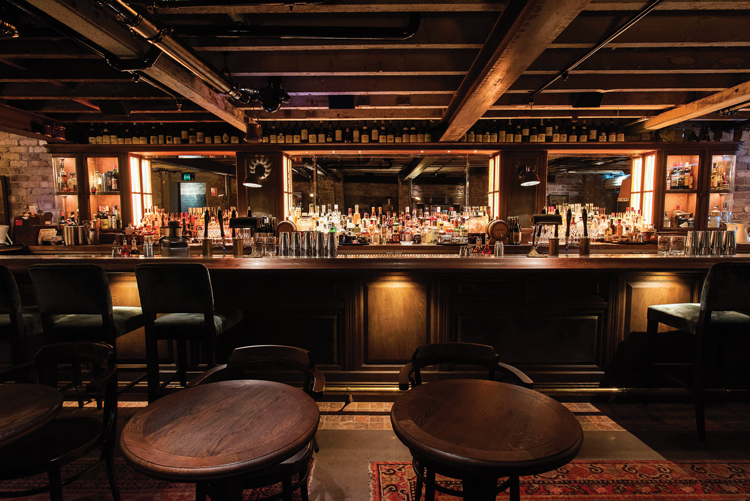 There are five finalists for the Best Sustainable Bar Program at the Bar Awards — take a look. This award recognises those bars with who incorporate sustainability as part of their standard operating procedure. They’ve taken steps to reduce their impact on the environment and are thinking about how they can reduce, reuse, and recycle elements of the bar program. Read a little more on what they’re up to below. Charlie Parker’s has made quite a name for themselves since opening last year, with the service and the drinks landing in the highest echelon from opening day. But they’ve also made great strides when it comes to sustainability. That’s just the start of it. They make use of a rotovap to creatively use elements of produce you might otherwise discard — like with this parsley drink — and importantly they’ve been sharing their knowledge with anyone who cares to ask. The drink is a “riff on the Proscuitto e Melone salad you might find in Italy – savoury, salty, sweet, smokey,” according to Margan. “We juice watermelon and acidulate it with citric and malic acid to preserve, it is used as the ‘sour’ component,” Margan tells us. “The leftover [watermelon] rind, we steep in Dolin Blanc to create our watermelon vermouth. The rind contains all the esters that we associate with that ‘confectionary’ watermelon flavour, without any colour change,” he says. 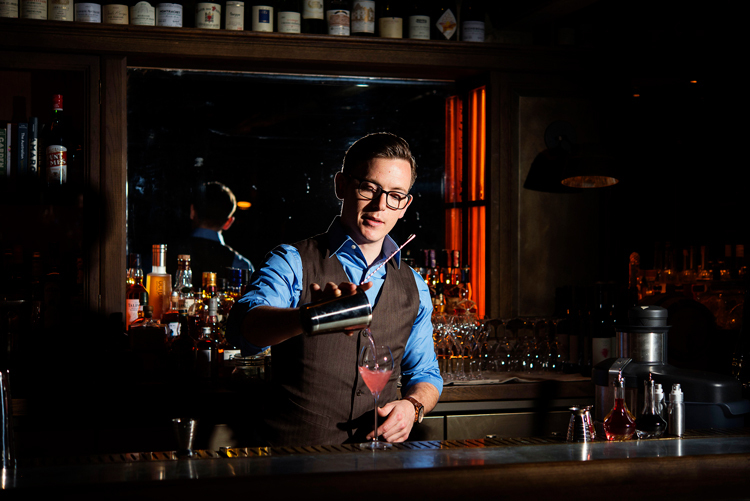 The speck component of the drink is employed as a fat wash with Highland Park 12 Year Old, using “residual speck fat from our sister restaurant Bread and Bone upstairs,” Margan says. Maybe Mae employ a daily edited menu as well, which keeps things hyper-seasonal. Tasmanian bar Society Salamanca focuses on gin and whisky, and they’re making efforts to keep things sustainable, too. They’ve put strong emphasis on only using recycled paper for their menus, napkins, and in the bathrooms. As a gin bar, the Gin and Tonic is a big drink for them so they’ve cut down on their glass waste by crafting their own tonic water with the help of a SodaStream. “Like many bars, we audited our waste and found glass to be the overwhelming majority,” they told us. Why wouldn’t you take an advantage of the great distilleries down there? The Sydney bar is a favourite among bartenders, and they’ve recently made investments in trying to do things more sustainably. “Each drink on this list has a minimal impact focus. From the ways in which ingredients are source, their ‘global footprint’, minimisation of waste, recycling products and sourcing unique and artisanal spirits that again have similar focus,” he says. Another Tasmanian bar, another greta effort at reducing their impact on the environment. The Void Bar at MONA takes a number of steps in their sustainability program. They’ve got a comprehensive “waste management system in place for composting, re-using, recycling and re-purposing – all kept in check with regular waste audits,” they tell us, and they’re growing a number of ingredients for their bar on-site, reducing their food miles. “Things grown in our hot house and on our worm chapel include: rosemary, thyme, oregano, lemon balm, lemon basil, basil, camomile, nasturtium, edible chrysanthemum flowers, lemon verbena, mint, Vietnamese mint, wormwood, agave, bay and many more. We source all our seasonal fruits locally, usually for free, from friends of MONA. We do a lot of back yard picking and foraging in our surrounding bushlands,” they tell us.